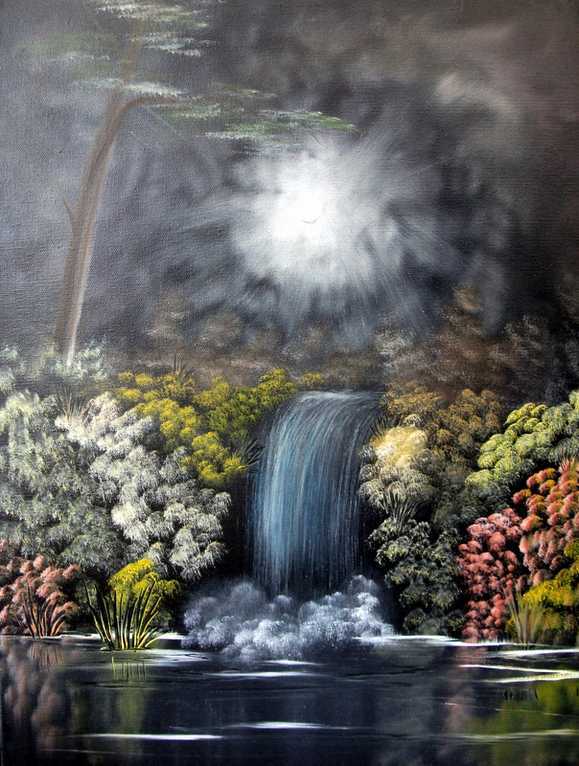 Created using oils on a black canvas measuring 16in x 20in ..The sides of the painting are painted black and it does not require framing. Based on scenes in Wales . 25% of all sales will be donated to the O'Connor Haematology Cancer Unit where my son is being treated.